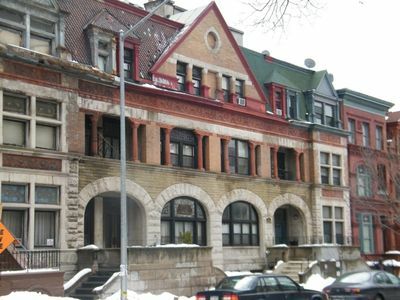 Experience this historic landmark Dutch Renaissance Revival Brownstone, originally built by architect and builder Frederick L Hine circa 1899 and newly restored to its original opulence by architect and designer, Kimberly Peck. 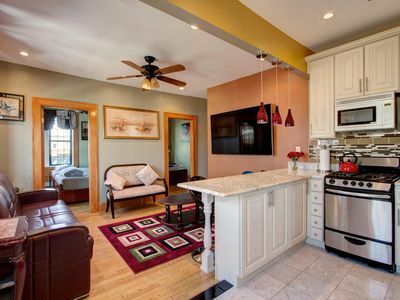 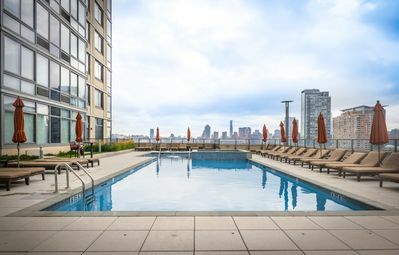 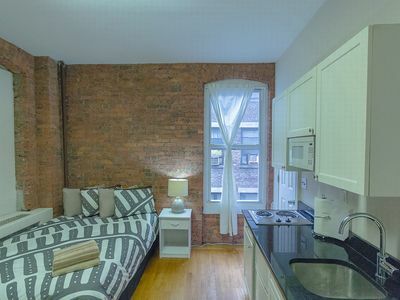 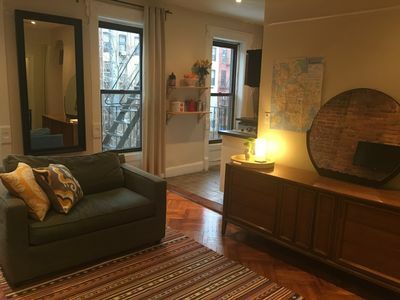 Located just minutes from Barclays Center and within walking distance of Prospect Park, Brooklyn Museum, Botanical Gardens, the Farmer's Market at Grand Army Plaza, Brooklyn's Children's Museum, and trendy Franklin Avenue, this spacious 1 Bedroom, 1 Bath accommodates up to 6 comfortably. 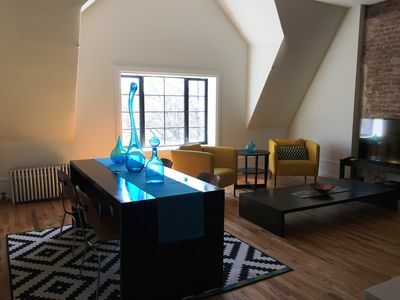 The apartment boasts all new modern amenities, high ceilings, hardwood floors, casement windows, sky lights, open kitchen with stainless steel appliances, washer and dryer, remote control air conditioning and heating, HDTV with premium channels including HBO and Sports, and free wifi. 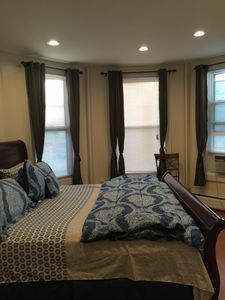 For larger groups and additional space, this apartment can also be rented along with Apartment #2 downstairs (VRBO # 654169), which also sleeps up to 6 comfortably and/or Apartment #1 (VRBO # 699042), which sleeps up to 4.